In fact, we’re just several weeks away from the most wonderful time of the year, so now's the perfect time to start thinking about the best gifts to give to your loved ones. Deciding on the perfect gift however can be quite tricky and even stressful; Food can go stale or expire (or maybe they even changed their diet), wrong clothes sizes can be an indication of how you perceive them (too fat, too thin, too long or too short) and don’t get me started about those office accessories and daily items which you think they could use (and probably already have). So what’s the best gift item to give out this holiday season? You can never go wrong with something tech-related. It's not just geeks who love tech anymore- even your parents who are becoming active on social media, your partner, kids, best friends and even your grandparents who’ve discovered those slot machine games, would definitely appreciate these tech related gifts for Christmas. It’s a good thing that with the drop in temperature, Promate Technologies is also dropping the prices of several gadgets that are guaranteed to put a smile on the face of any receiver. For the audio junkies and the music lovers, take their sound experience to the next level with the Conex Bluetooth Speakers. 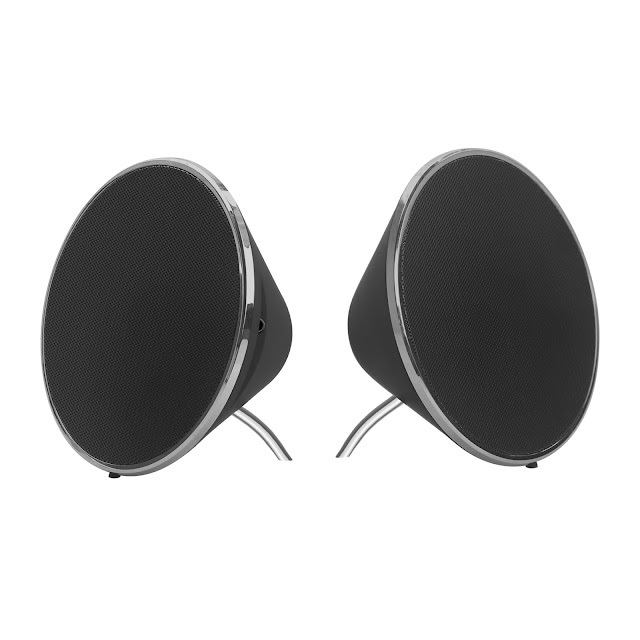 Get your feet tapping to the groove and play your favorite tracks via cable wirelessly on the go with this powerful dual speaker. It features a soft touch control panel that lets you easily navigate through your playlist. And play your favorite tracks for up to 2.5 hours with Conex’s 550mAh rechargeable lithium-polymer battery. 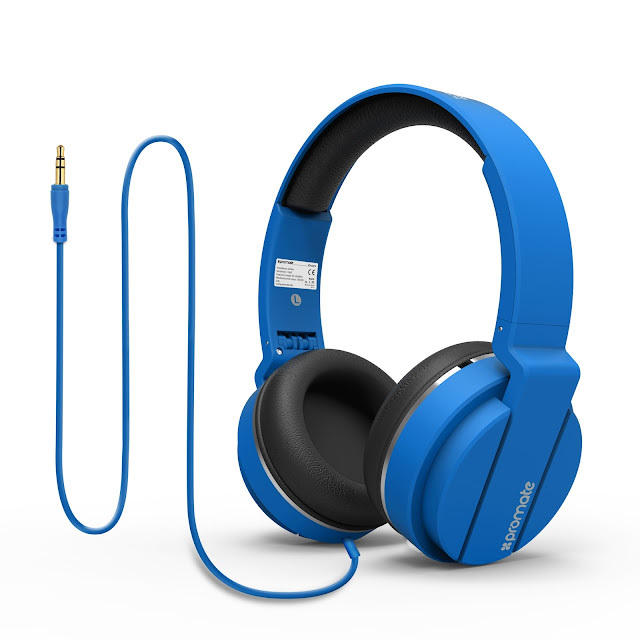 Plus it also has a call function with noise cancellation technology for clear wireless hands-free calling. For those who prefer a more private listening experience, Promate Technologies offers a lot of choices such as the Encore Dynamic Over-Ear Stereo Wired Headset. Turn up the music and turn up the fun with this ultra-portable, foldable headset with passive noise cancellation technology. The Promate Encore headphones feature a high-end open circumaural design for outstanding bass and vocal projection. The foldable headband and sweat resistant ear cups are lightweight yet built tough enough to last and keep their shape, providing premium comfort without the bulkiness. The passive noise cancellation ensures you are able to enjoy your favorite music with minimal disturbance throughout your adventure trips. Designed exclusively for children, the Soul Lightweight Supra-Aural Stereo wired headset combines style, sound and safety for children. The headphones come with soft padded ear cushions for premium comfort and an “always on” 80 dB volume limiter to help prevent damage to those young ears. Got a loved one who just can’t put down their gadgets? Help empower their digital lives to the max with Promate’s Power Solutions. 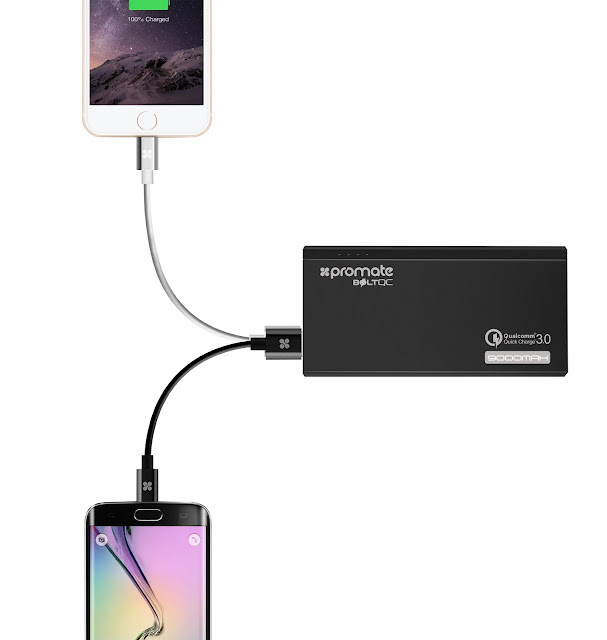 On top of the list is the Promate Provolta-21, a 20800mAH powerbank that guarantees their multiple gadgets will never run out of juice throughout the day! For those who want the fastest charging, there’s the Promate BoltQC, which charges your devices up to 80% faster than traditional chargers. Utilizing Qualcomm Quick Charge 3.0 technology, the backup battery minimizes your time plugged in to the wall or your device and gives you the power you need. The BoltQC also features an ultra-fast 2.4A USB Port to charge your other smartphones and tablets and provides the optimum output based on the device connected with Automatic Voltage Regulation. Lastly, there’s the Promate ReliefMate-2 that can give you that emergency power boost while watching your movies. It features a 2200mAH Ultra-Small Power bank that also doubles as a phone stand. Get all these devices at discounted prices with Promate’s ongoing Christmas promo which lasts until January 5, 2017. The ReliefMate-2 2200mAH Ultra-Small Power Bank is now available for only P245. Get P500 off the regular price of the BoltQC 9000mAH Quick Charge, now at just Php1,495. 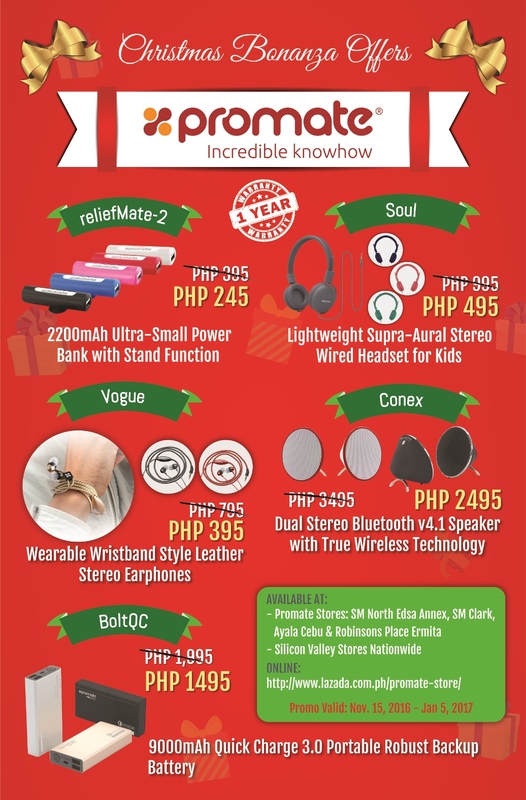 The Conex Dual Stereo Bluetooth Speaker is now available for only Php2495, while the Soul Headphones for kids is now more affordably priced at just PhP495. 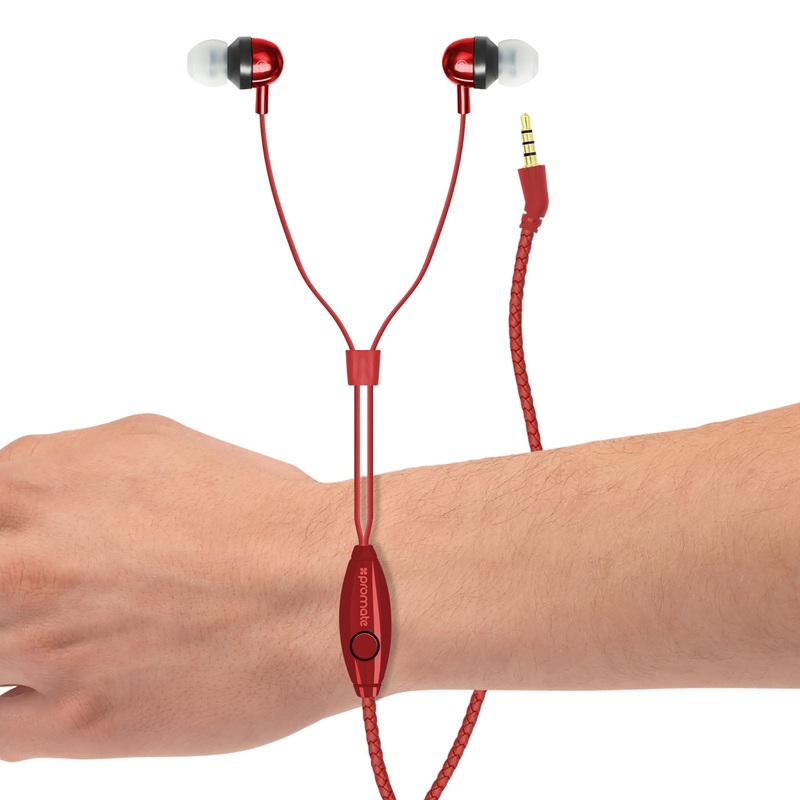 Get the Vogue Wearable wristband stereo earphones at almost 50% off for just P395. Visit the Promate stores at SM North EDSA Annex, SM Clark, Ayala Cebu, soon-to-open kiosks at Robinsons Place Ermita and Robinsons Place Las Pinas and all Silicon Valley Stores Nationwide. Promate is also available through www.lazada.com.ph/promate-store. New Diet Taps into Revolutionary Plan to Help Dieters Lose 15 Pounds in Only 21 Days!